Editors's note/correction July 21, 2014: A previous version of this post stated an incorrect location for where and how this incident occurred. When the incident occurred, the Mexican military was conducting a raid on a location known as "the ranch." "The ranch" is located 8 miles west-southwest of the village of San Miguel on the Tohono O'odham Reservation and quarter mile south of the border below Vamori Gate. According to a source, this area has been used as a staging area for human and drug trafficking for years. 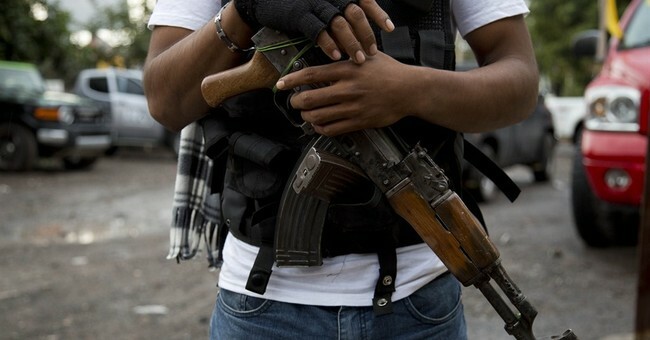 Further, as more intelligence about the incident came in about the operation being part of planned Mexican military activity, the statements about possible cover for cartel movement in this specific case became inaccurate although cartels use corrupt members of the Mexican military for cover on a regular basis. I regret and apologize for the error and for the delay in correction of the post. On Thursday morning between midnight and 6 a.m. at least one Mexican military helicopter crossed eight miles into the United States and shot at Border Patrol agents with lethal force before returning to Mexican territory. The incident occurred in an area notorious for violent drug cartel activity just west of the Tohono O'odham Indian Nation during a Border Patrol drug interdiction operation. The timing and location of the incident has prompted agents to believe the use of the helicopter by the Mexican military may have been on behalf of drug cartels operating in the area. "Mexican military are oftentimes working hand in glove with the cartels. The Mexican military has routinely crossed the border in areas that Border Patrol agents are actively tracking or seizing drug loads. Inevitably the Mexican military claim they got lost, that the border was not clearly marked, or in extreme cases fire on agents to cover their retreat," National Border Patrol Council Spokesman Shawn Moran exclusively tells Townhall. "Ajo, AZ Border Patrol agents have had several incidents like this over the years where they have taken shots from the Mexican military. The cartels' resources are nearly limitless and it would not surprise me if they "rented" the cover by the Mexican military helicopter in this incident." A Border Patrol agent stationed in Arizona, who asked to remain anonymous, backed up Moran's statements saying the Mexican military regularly works with cartels on the border and has been doing so for years. The Mexican government has apologized for the shooting, but has not explained why the helicopter was in the area.